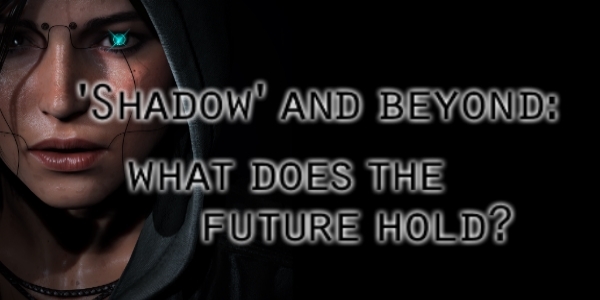 Home » Article » ‘Shadow’ and beyond: what does the future hold? ‘Shadow’ and beyond: what does the future hold? Square Enix has finally put out an official, if brief, statement. 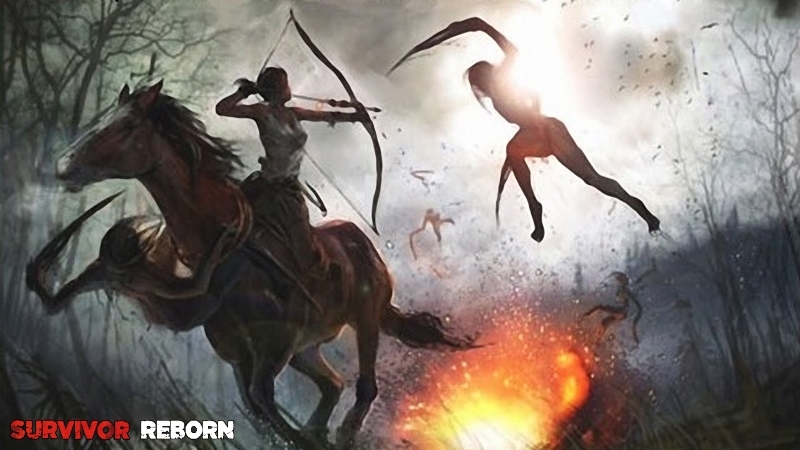 A new Tomb Raider game IS coming. While no actual information on the title has been officially revealed, they say that they’re being driven by a goal of ‘putting (their) fans first’. So, what exactly is it that the fans want? 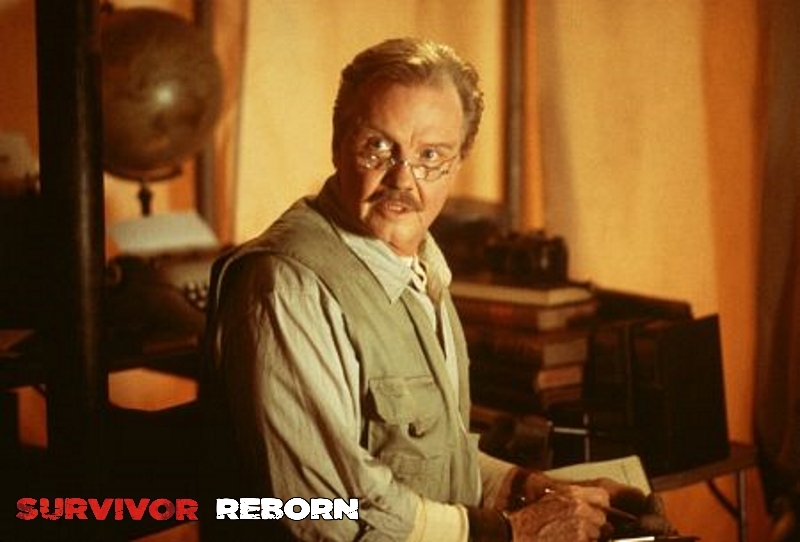 While I can’t speak for the entire fanbase, a few of us here at Survivor Reborn thought we’d get the ball rolling with the top 7 things from our personal wishlists. 1) New, and passionate, leadership in the development studio. Nicobass’ TR: DoX (Tomb Raider II remake) is a beautiful example of what the spirit of Tomb Raider was and could still be, IF it has someone at the helm who really loves this series. TR: DoX is obviously a project built with love, so imagine what kind of triple-A title a premium developer could produce if they were so inclined. Is this likely? As TR moves away from CD and towards Eidos Montreal, there is at least the possibility that a new director will bring a new fire to the series. Fingers crossed! 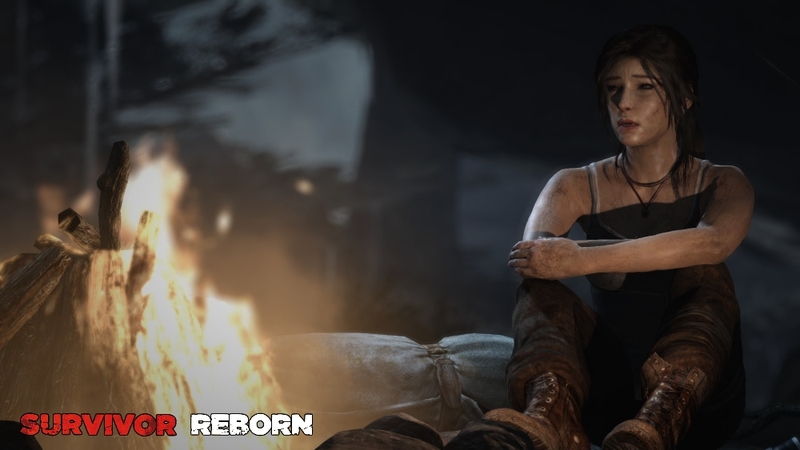 This has been a sore spot ever since the first Tomb Raider movie decided to re-write Lara’s relationship with her father, and Crystal Dynamics decided to make that the focal point of their narrative. Likely? Nah. This is a trilogy after all. I suspect that once ‘Shadow’ is over, unless it’s a phenomenal commercial success, another reboot will be considered. Perhaps then we will leave family drama in the past. Otherwise, I fear it is here to stay. 3) A variety of locations. A globe-trotting adventure is a must. But please, no more snow! Lara has spent large portions of the previous two games shivering away in inappropriate clothing for the weather. Perhaps some warmer climes are in order? Likely? This will largely be dictated by what they want to show off in the engine, graphically. With 4K displays being the thing these days, I imagine we’ll be seeing a lot of detailed textures. Hopefully not in yet another shanty town or installation. 4) A shift towards something more horrifying. Horror games have very much been in vogue of late, with the shadow of PT hanging over gaming and Resident Evil 7‘s successful reboot. While I hesitate to suggest that Tomb Raider should continue to follow the crowd (it has spent the last few years toothlessly snapping at Uncharted‘s heels), taking the franchise in more of a horror direction would at least be something new, and potentially exciting, for this current incarnation of Lara. Likely? This was the planned direction for the latest TR reboot: I can imagine that it will definitely be put back on the table if Shadow under-performs. 5) A different actress to play Lara Croft. Mirror, mirror, on the wall… will I ever play for sport at all? Camilla Luddington’s performance as Lara has left a number of fans in the cold (including us). Her resigned, often breathless delivery (with a hint of vocal fry) and ever-so-slightly-off British accent turned me off immediately. If the direction and script were better, perhaps this wouldn’t have been an issue at all. Likely? I’m not sure: Alicia Vikander, from what little we’ve seen of the upcoming movie, seems to be far more confident and self-assured than her in-game counterpart. It would appear that she is playing a younger version of the Angelina-Jolie Lara rather than Reboot Lara. 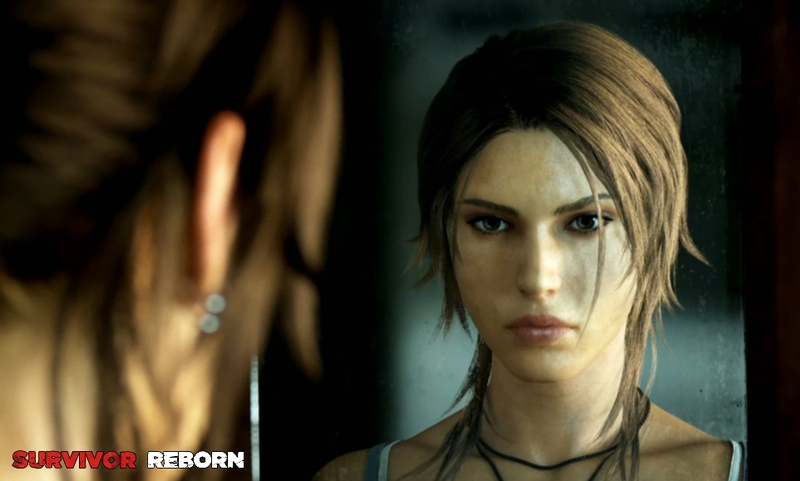 If this interpretation is successful, perhaps the game Lara will be given a shake-up. However, it seems more likely that this game will be darker in tone, and that Camilla will be directed to be a bit more of a badass. Likely? Hollywood still seems to have an issue with older women, and gaming certainly does – how many female gaming leads in their 40s and older can you name? And how many actually look their age? More likely, we’ll see an eternally ageless Lara mature as a person without developing wrinkles. 7) Gameplay that’s actually challenging. That’s a BEAUTIFUL structure: now can we please freely explore it without any QTEs, cutscenes, vocal hints, survival beacons, or white ledges? 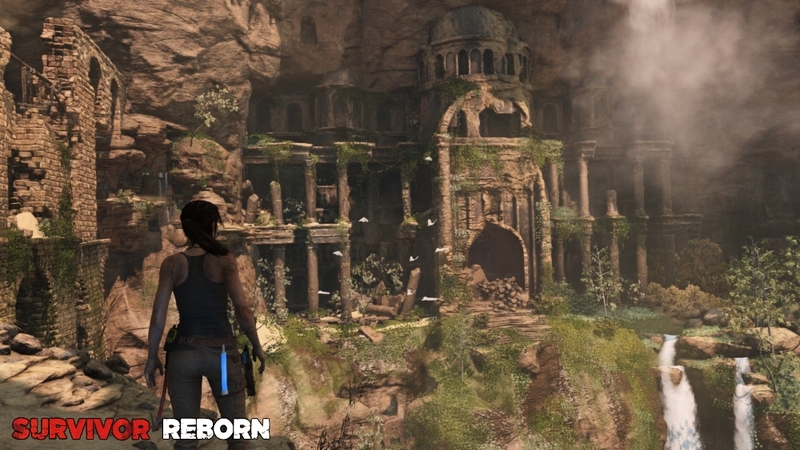 I’m talking puzzles, tombs, and large areas with no gameplay assistance telling us what to do or where to go – no hints, no survival mode. Heck, let’s do away with the map for good measure! Crystal specialises in physics-based systems, and we’ve already had fire, wind, water and air puzzles. I’m genuinely intrigued as to where they go next. Likely? Unfortunately, Tomb Raider is not the only game affected by this dumbing-down mentality. The fear of having a customer get stuck, give up on a title and not buy the inevitable sequel, is rife. However, with most people having YouTube on demand these days, not to mention hot-and-cold-running walkthroughs, do we really need to have so many mechanics and hints in-game… just in case? So what do you think? More importantly, what do you WANT? Let us know in the comments and on Facebook! ‘Shadow’ and beyond: what does the future hold? by Matt Taylor / Survivor Reborn is licensed under a Creative Commons Attribution-NonCommercial-NoDerivatives 4.0 International License. 2 Comments on ‘Shadow’ and beyond: what does the future hold? What do I want? Given how old I am, I want the Lara Croft that I was used to when she was first introduced back in the 1990’s: The sassy, young, well-educated Brit aristocrat (and that’s “Lady Lara Croft” to you) that wouldn’t take any gruff. Is that too much to ask? I want the ability to explore a wide variety of areas in a non-linear fashion. That’s what I played back in the 1990’s. I want the option to have the more simplified keyboard controls that I played in the 1990’s. It took me a year or two to get used to the newer keyboard controls, and that made things such as combat that much harder. I want all the possible platforms released at once. I don’t want to feel like I got left behind and ignored with disdain if all I have is a PC. That’s what I played these games on in the 1990’s and was rather miffed when the first installment of the “reset” trilogy was released only for console games (Xbox, etc.) Even though they finally caught up, I’m not into streaming sites as a rule due to the ease of transmitting computer viruses through those sites, so that’s going to sit there forever without so much as a “hello” from me. I want it on that CD, dang it (or, at least, on the “Xbox Live” system since I have Windows 10 these days).